Just about everyone has heard of psychic meditation before, but what they don’t know is what it truly is and how it is done. Many individuals think meditation is just sitting in a quiet room, closing your eyes and breathing deeply, however, there is much more to meditation than just those aspects. Psychic meditation is a wonderful way to allow people to tune in with their inner-self, and turn off the world around them. Whether you want to gain the intuitive benefits of meditation, work as a medium, or practice developing your unique gifts, this guide will get you centered and ready before working. There are technically two ways you can use this article: first you can use it as a tool prior to a reading, as it will help refresh and sharpen your techniques, and second, you can see it as a guide to psychic awakening or the discovery of your psychic gifts. Whether you are interested in option one or option two, anyone interested in psychic meditation will find many useful facts and helpful tools in this article. Learn what it is, how it can benefit you, and how to do it. 1 What Is Psychic Meditation? Psychic meditation is simply a different form of meditation that assists you in accessing your natural psychic abilities and intuitive senses. The purpose of this type of meditation is to either discover or access your inner gifts. Through quieting your mind, it allows you to access a higher state of consciousness. 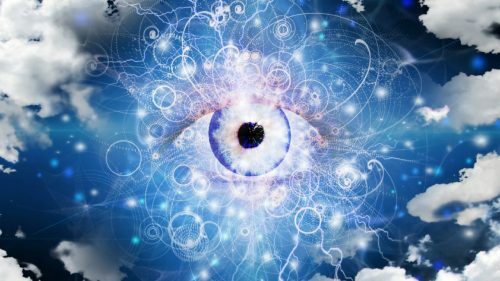 Experts who are advanced in this practice prefer the idea that you are able to lift your psychic vibrations, in order to access information, healing, and even guidance from the realms of your spirit. It may seem complicated and complex, but it in its simplest form, it is extremely effective. It can be absolutely beneficial for everyone. Before you do anything, choose a time and place you can be alone and have a quiet atmosphere for at least 15 minutes. It is important to have a quiet room with no distractions, so you can dive into your senses and have a successful psychic experience. You simply cannot have a successful experience with noises or distractions near you. Next, keep a notebook and pen near you while you meditate, so you can write down your impressions. A good idea to achieve pure quiet and peace is by ensuring all electronic devices are turned off. You might have a quiet room with no one nearby, but you still never know when your cell phone might go off. Just for 15 minutes, you can survive without your phone! You may choose to sit or lay down, whatever you prefer and feel is more comfortable. However, mainly for psychic meditation, we suggest you sit in a comfortable chair, so your back is supported. Next, place your hands in your lap with the palms facing up. The best way to pay attention to your breathing is by closing your eyes and taking in deep breaths that start from the depths of your belly. Place your hand on your stomach to feel it expand, breathe in through your nose, and count to three. Try and hold your breath for a full three seconds, then exhale through your mouth while counting to three. Repeat this at least 3 to 5 times or until you feel fully relaxed. You are not expected to hold your breath for three seconds if you cant! Do the best you can, but you don’t want to pass out! Once you feel relaxed, just continue breathing nice and slow, but without counting. From the very start of the meditation, be open-minded. Once you have relaxed and opened your mind, you are essentially freeing yourself from all unnecessary thoughts to allow new thoughts and ideas. Don’t be frustrated if you can’t seem to be open minded at first—it will take time and practice. Keep your senses buzzing and aware. Your psychic abilities can occur in many ways. At first, you could feel a physical sensation or an emotional twinge. Some people see images or say they hear words. The more psychic abilities develop, the more sensations you will feel! If you don’t feel anything on your first try, don’t worry. Not everyone gets it on their first try, but enjoy feeling open-minded and relaxed! Patience is key! It is important during your meditation to have patience and persistence. Being impatient will act as a blockade to receiving any psychic abilities. Once you have gained some patience after maybe your first or second try, you will feel yourself achieving these powers. It’s a good idea to use them wisely, always tending to them with the utmost care. Once you have felt opened up and relieved, or you feel you have reached a new goal or sensation, it is time to close up for the day and become grounded. This is, in fact, the most important part. Why is this so important? If you do not learn to control your abilities, you will end up picking up on energies all day. The best thing to do is to imagine an end of the session, such as a book closing, the lights turning off, or maybe blowing out your candle. Then start wiggling different parts of your body, open your eyes, and sit there a little while before getting up.